Ben: "When I was in Nepal I met amazing people, peasant farmers, workers, students, youth, and the elderly, all fighting for a democratic future. Everywhere I went there was a common desire for something better." Ben Peterson is a young Australian socialist who spent four and a half months in Nepal in close association with the revolutionary forces who recently overthrew feudalism and are today confronting capitalism and imperialism. Ben is crossing the Tasman for a speaking tour of New Zealand from 21-27 March. Ben's visit will be a great opportunity to learn more about the exciting events in Nepal. 2pm @ Auckland Trades Hall, 147 Great North Road, Grey Lynn. 1pm @ Function Room (over Quad café), Auckland University. 1-2pm (followed by discussion) @ SUB G.20 (Guru Phabians room), Student Union Building, Waikato University. 7.30pm @ Ghandi Hall, 16 Gibson Street, (opp ten-pin bowling alley), Rotorua. 6pm @ Newtown Community Centre, 1 Columbo Street, Wellington. 1pm @ University Union Main Common Room, Dunedin University. 7pm @ Knox Church Hall, George Street, Dunedin. 7:30pm @ WEA, 59 Gloucester Street, Christchurch. Auckland - Daphna Whitmore, wpnz@clear.net.nz. Hamilton - Jared Philips, jared@unite.org.nz, 029-4949 863. 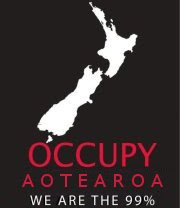 Rotorua - Bernie Hornfeck, bernieh@clear.net.nz, (07)345 9853. Wellington - Alastair Reith, alastair.reith@gmail.com, (04)384 1917. Christchurch - Phil Ferguson, philip.ferguson@canterbury.ac.nz, 021-443 948. Dunedin - Andrew Tait, andrewmtait@hotmail.com, 027-606 9549. 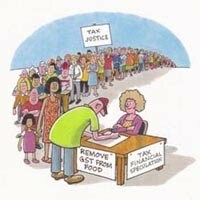 National co-ordination/publicity - Vaughan Gunson, svpl@xtra.co.nz, 021-0415 082. You can join the Facebook group: Ben Peterson NZ Speaking Tour. More information on Ben's tour and events in Nepal can be found there. To help pay for the cost of Ben’s international and domestic airfares please make a donation into this account: Nepal Solidarity, Kiwibank 38-9010-0315883-00. 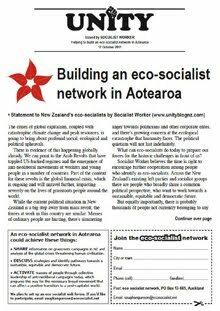 Ben Peterson’s tour of NZ was initiated by Socialist Worker and the Workers Party (workersparty.org.nz), with the International Socialist Organisation in Dunedin (iso.org.nz). Meetings in each centre are being organised with the support of other groups and individuals. If you would like more information don't hesitate to contact us.